Debris-strewn streets in Everglades City a week after Hurricane Irma. 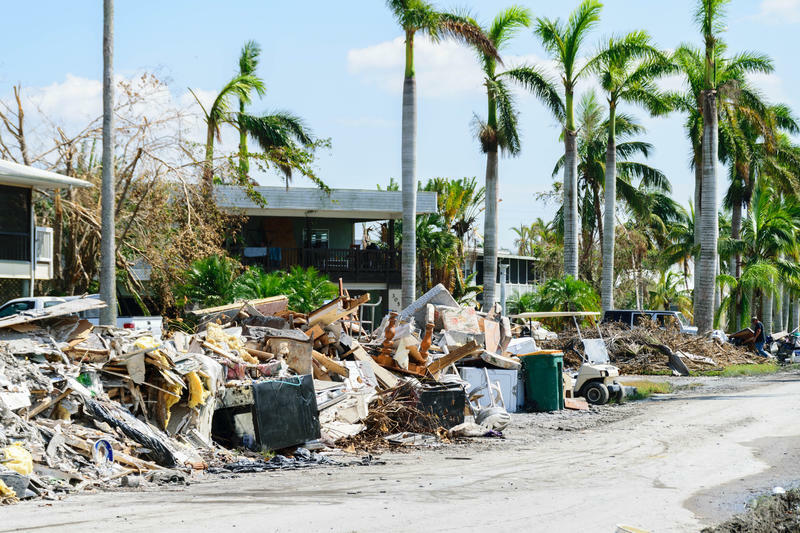 As hurricane season approaches, storm weary gulf coasters may remember the aftermath of last year’s hurricane season, when nonprofit organizations helped fill the gaps created by delayed federal response. We sit down with Greg Luberecki, Director of Communications and Public Relations for the Gulf Coast Community Foundation, which activated its Disaster Fund last year in the wake of Hurricane Irma, to discuss the roles nonprofits can play in disaster recovery. And, we get a report from WGCU's Rachel Iacovone who checked back in with a Hurricane Irma survivor in Everglades City.